So Autumn is certainly here to say hello – the water’s still at a decent temp (great to get in the last of those surf or pool swims) and the weather is up to its usual wild ways. 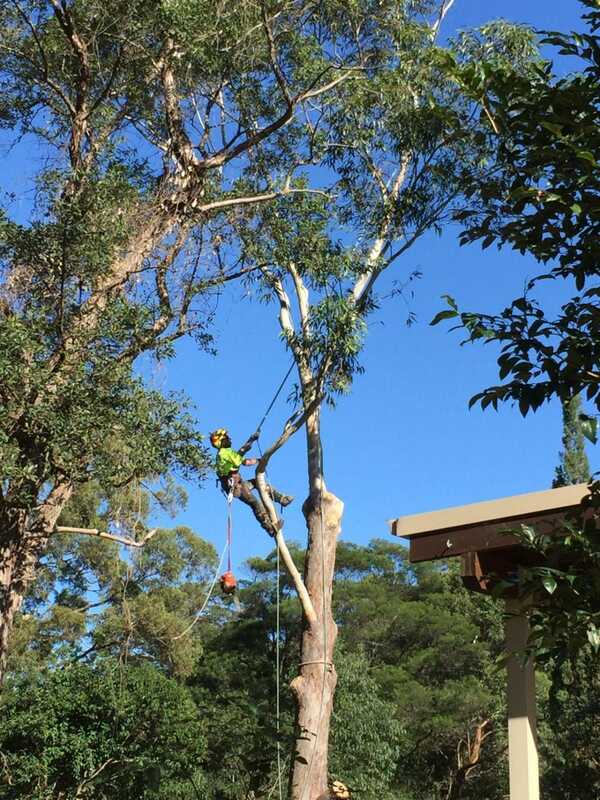 We’re super passionate about safety in our largely unregulated industry – which includes protecting you, our awesome customers and community, from potential harm caused by trees to your home during wild weather. 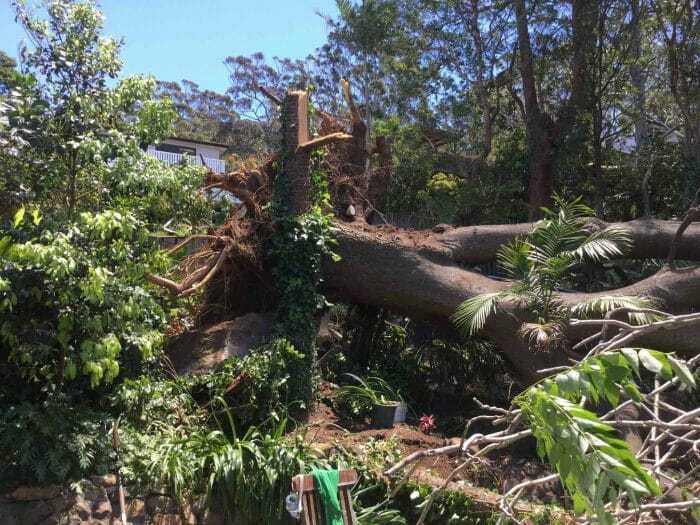 We work directly with the SES, councils and insurance companies (we’re the ones they can call in the middle of the night to tackle a fallen tree or branch caused by wild weather – lucky we love our job hey?!) 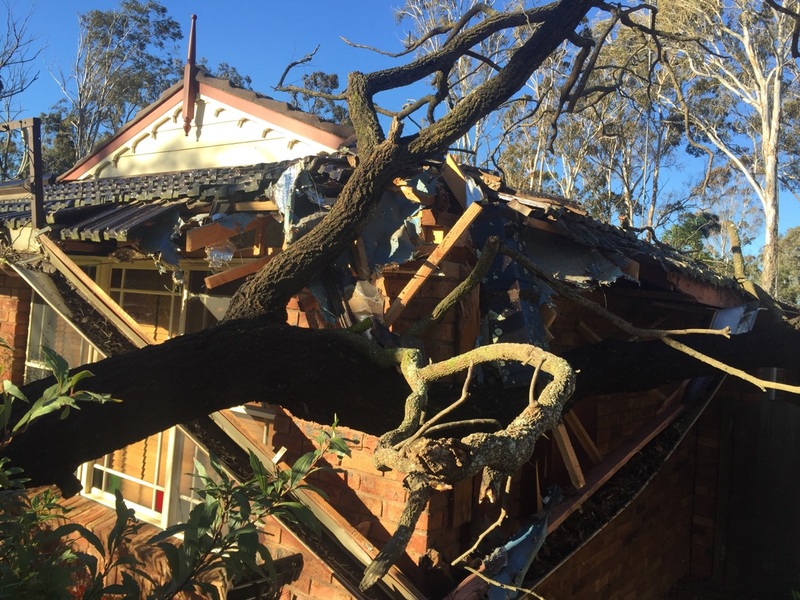 so we see firsthand the damage that can be caused to homes and properties at this time of year. We’re also offering a Free Safety Hazard Inspection (worth $250) with our Autumn Offer of $50 off all our award winning services. So do yourself a favour and save not only those hard earned dollars but also the stress that could be caused by damage to your home or property and family. Because, let’s face it, peace of mind is priceless. 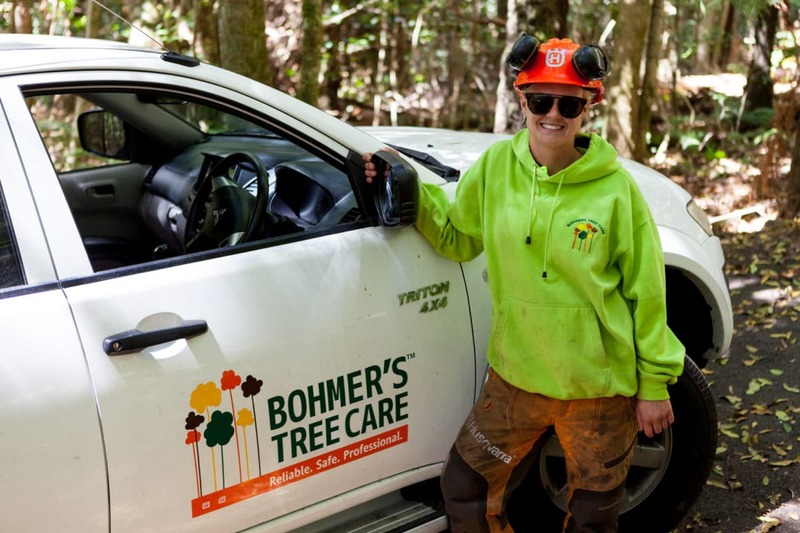 Lauren, one of Bohmer’s Tree Care’s trusted Chainsaw Operators and Groundsworkers.